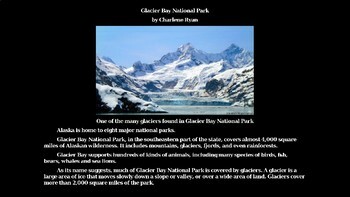 PowerPoint presentation on Glacier Bay National Park. 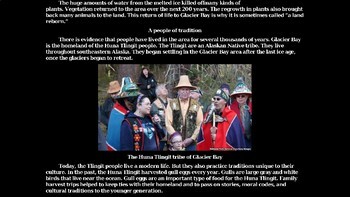 Alaska is home to eight major national parks. 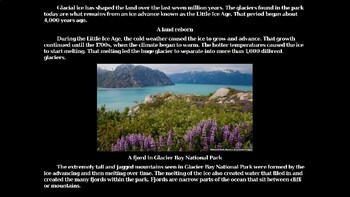 Glacier Bay National Park, in the southeastern part of the state, covers almost 4,000 square miles of Alaskan wilderness. 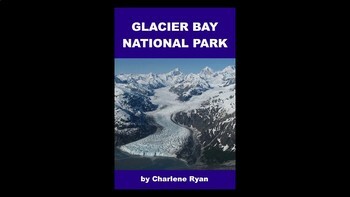 It includes mountains, glaciers, fjords, and even rain forests. This famous bay also supports hundreds of kinds of animals, including many species of birds, fish, bears, whales and sea lions. • Please go to your My Purchases page (you may need to login). • Beside each purchase you'll see a Provide Feedback button. • Click it and you will be taken to a page where you can give a quick rating and leave a short comment for the product. • Each time you give feedback, TPT gives you feedback credits that you use to lower the cost of your future purchases!